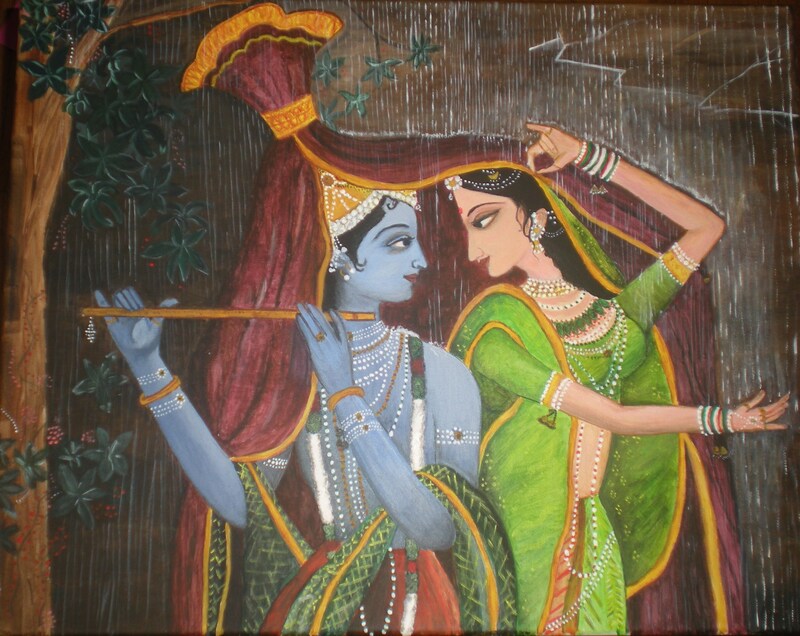 “Divine Love Reigning” ~ Shweta Mitra, May 2010. Katrine and I independently worked on these pieces. I was looking for a poem to go with my painting, and she was looking for a painting to go with her poem. We were pleasantly surprised when we did share our creations and saw how beautifully they fit together. Thank you Katrine for letting me share this with our visitors at Living Unbound. WOW!!! BEAUTIFUL.. the art and the poem in perfect sync.. please keep them coming!